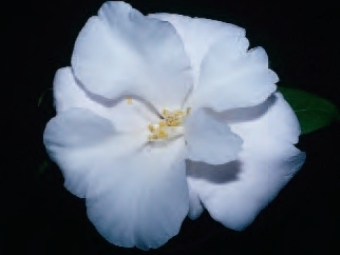 The 4" semidouble bloom has 11-14 white fluted petals and some flowers have 2-3 petaloids. Flowers have unique form, usually have 5 petals in top ring and is suitable for exhibition. Plant has landscape possibilities. Light green leaves are 3 x 1 1/2 inches.